... E-Commerce is an ever-growing industry! ... Developing an online store is a good business. ... More and more users are buying online. All of these statements are absolutely true. In Bulgaria, the development of online commerce is constantly rising. But what are the other reasons for creating your own online store? And why should you think seriously over this step? According to the latest research data published by E-commerce Europe in 2017, 62% of all users have used the Internet for the past 12 months in Bulgaria, 17% of them ordered online. The average growth of e-commerce in Bulgaria over the past three years is about 22% per year. The conclusion from these numbers is one - the potential for e-commerce development in our country is significant and the question is not whether we should build an online store, but when to do it. And the right answer is for sure: As soon as possible. To emphasize on the importance of having your own online store, we have summed up 5 + 1 (BONUS) reasons to help you stop hesitating and start acting on your e-shop. When you accomplish all of the above and your store happens to be fast, intuitive and easy to use by customers, they will appreciate it, and you will become very successful! 🙂 We know this will happen BUT in order to achieve this you will need good products! Having these advantages will help you create a suitable marketing strategy. Later on you will need an effective advertising. Eventually you will reach to the point to get up in the morning, open your laptop and see that you already have a few orders and X sold products – all while you were sleeping. Sounds good, right? And it is possible! What it takes? To make the first step. Let's start with an example ... you have a local store in the city. Through its physical location you can reach the people in the store area, those who pass by or those who've learned about you from friends, acquaintances, etc. Unfortunately in this case your potential customers have a certain range. Now let's see a similar example, but with an online store. When you prepare your ads, you can target your potential customers across the country. You can also make ads for non-Bulgarian people or display them abroad. Imagine if you had to open offline stores in every city in Bulgaria! That would've been too hard, too expensive and too difficult to maintain. 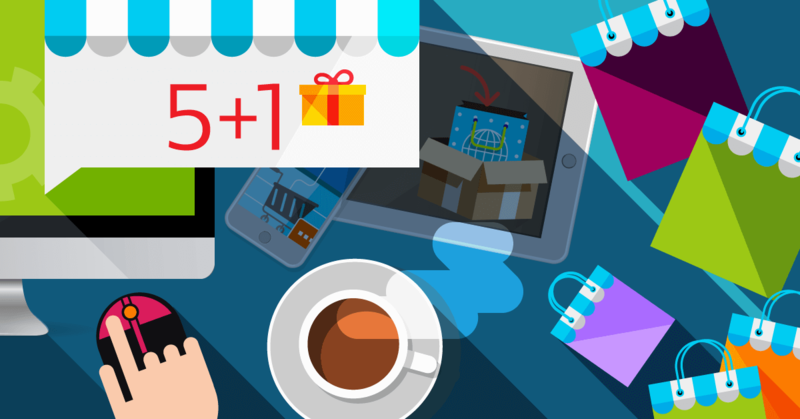 (BONUS) Idea: Having your own online store will help you boost your offline purchases too. Yes! It's reasonable because some of the users who visit your online store would want to see the products in person. So this combination between offline and online store will help your business grow. You probably know that you can advertise your online store on Facebook or Google Ads. You can also target your ads in a way that matches your clients' profile. Build and promote your brand online. Choose a suitable name for your online store with .com, .net, .eu, .bg, .shop, .store, or else. Then create emails with this domain such as ... info@mydomain.com or orders@mydomain.com. Think about how to include your brand name and emails in your completed and enhanced marketing strategy. Use dynamic product ads on Facebook and Google Ads. By doing so, users who have been on your online store and have seen certain products will start bumping on ads containing the same products. This type of activity affects the percentage of orders made and increases brand recognition. Create different types of target audiences from the users who have visited your store. For example, you can create an audience of visitors who have been on product pages, or who have added a product to the cart but haven't completed their order. Get your Google Ads promo code and sell more! Use different types of marketing tools. For example, discount rate promotional codes, discount voucher for next order, free shipping campaign, automatic percentage discount for orders over certain amount, and more. With the help of Google Analytics. If you haven't heard about this Google tool, you will learn about it after you start developing your online store. One of its main applications is to track user behavior. This marketing instrument tells you how much time your visitors spend on a page, from where they have reached your store, what percentage of them visited and exited without taking action, also it shows you which pages and products are the most popular and desired. It provides you with data to analyze and assess what can be improved in order to meet your clients' criteria of good user experience. Having an online store obligates, you to make a Facebook page or create a business profile on Instagram, Twitter, Pinterest ... The choice of social media depends on wherever your customers spend most of their time. Keep your accounts up-to-date and use them to communicate with your customers. These are just a few of the possibilities for digital marketing. With the development of your store, first sales and first online campaigns, you will learn more and more. It's important to experiment and evaluate what works and gives the best results for you. Quality and useful content adds value to each business. This is especially true for online businesses. Customers have certain cases and need a solution. They are looking for more information to make the right and informed choice. Here comes your role. Create valuable content - this includes the detailed and complete product descriptions, the answered questions of your customers, articles in your blog/news section where you inform, educate, and compare. Include reviews from customers who have already ordered products from you. People like to have feedback and see other people's opinions about the product. Be fully open. his is one of the reasons for the constant steady growth in e-commerce. More and more people are getting used to researching, searching and ordering their desired products online. This saves them time, effort, resources. It gives them the opportunity to choose the best deal on market. Very often online users start researching products online. Then they make a decision and purchase the product online or offline. They naturally choose the brands that provide information online and have earned their trust. You already have an idea for your future online business. Manufacturing, importing products, or finding a suitable supplier. You think you can build a good business. The easiest and most affordable way to check out your idea and products is to create an online store. 1. Start your online store free trial for 14 days. Choose a design, upload products, enable payment and shipping methods. 2. Once the store is ready, choose the most appropriate domain name and plan - then activate your store. 3. Done. You already have a store. Now define its buyer personas, create traget audiences and publish your first ads. Whether you are going to test with ads on Facebook, Google Ads, or both - is a matter of choice. 4. Keep track of store traffic, user behavior, and results. 5. Analyze and, if necessary, make adjustments - in advertisements, products, information, communication, service. 6. At the end of the first month, summarize the results and decide what your next activities will be. You can see how easy and affordable it is to create your online store with Shopiko. With just a small investment for one month subscription, domain, and advertising, you will be able to check whether your idea works, whether the product is wanted and searched for, and whether there is potential for the development of your business. So, is there any easier and more affordable way to test the potential of your business idea? Everything included in this blog post tells you how many opportunities you have for creating and developing your e-shop.You also got the answer to the question: Do I need an online store? So don't delay! Build your e-shop with Shopiko's free trial today and grow your online business. Mitko can use almost every platform to create an online store, but SaaS is what he likes most, because he prefers selling than coding. 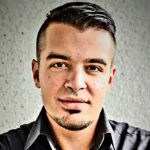 Mitko's SuperPower is that he knows everything about E-commerce and is not afraid to share it.